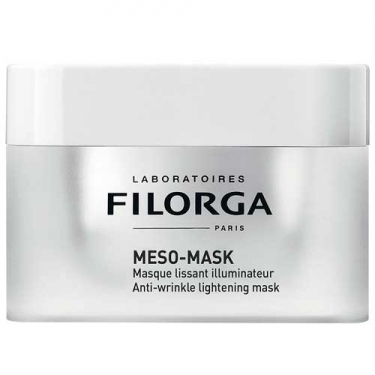 DESCRIPTION: Meso-Mask Masque Lissant Illuminateur by Filorga is an anti wrinkle and glow mask. 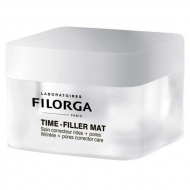 Formulated with the NCTF complex and Ramnose polysaccharides, it improves the skin's density, combats wrinkles and fatigue signs, soothes irritations and evens the complexion. The skin feels plump, refreshed and healthy. It's delicate and comfortable texture provide a moment of relaxation. 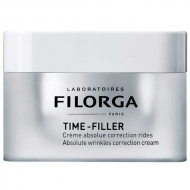 Apply a generous layer on the face, eye contour, neck and neckline. Leave on for 15 to 30 minutes. Remove with a damp cotton disc or rinse thoroughly with cold water. We recommend applying once a week. Ideal to erase premature aging sings.